A rash under the breast is a common phenomenon among women. Even though it is a harmless thing, it would be extremely smart of you not to ignore it. Timely treatment can prevent subsequent complications such as blisters and skin infection. 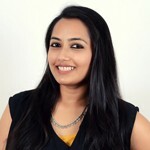 This article will tell you how to get rid of it with home remedies. Most of us might confuse a breast rash with other skin disorders such as psoriasis or eczema. However, a breast rash is not a dreadful skin disease. A breast rash usually occurs on the underside, near the crease of the breast. Redness and stinging sensation are what makes most women realize the presence of such a rash. This rash can be treated at home by using some basic ingredients available in your kitchen. However, it is important to understand the underlying causes and learn how to identify these rashes. The causes and symptoms are given here under. What Causes Rashes Under The Breast? Scales can sometimes form as well. Let’s explore the home remedies for rashes under the breasts now. Pound the basil leaves with some water using a mortar and pestle, to form a smooth paste. Apply it on the breast rash. Leave it for 20-25 minutes and wash off with warm water. Apply this twice a day until the rash goes away. 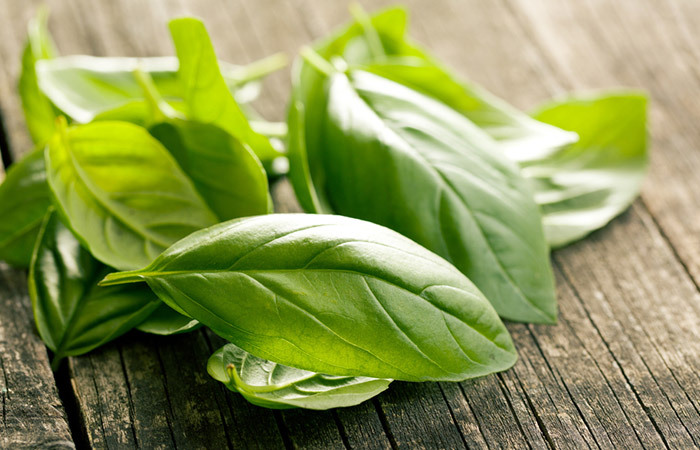 Basil leaves are known for their therapeutic properties. They have a cooling effect and provide instant relief from the stinging sensation. It also contains antimicrobial compounds that will prevent any infections from developing in the affected region (1). Remove aloe vera present inside the leaf by cutting it sideways. Apply this on the breast rash and let it sit for about 20 minutes. 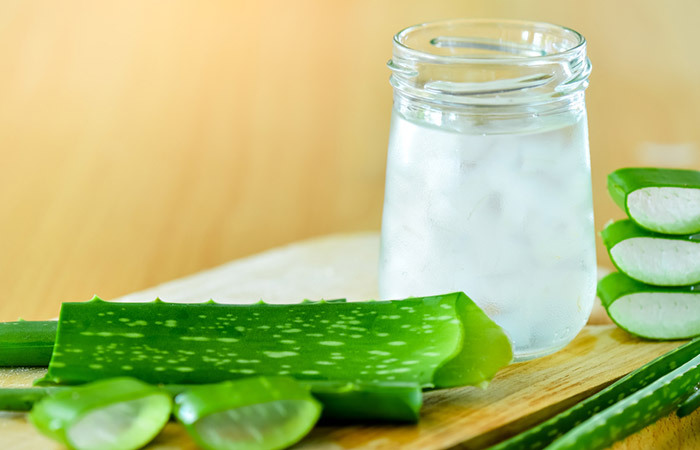 Aloe vera has antibacterial and antifungal properties. It is extremely soothing for the irritated and inflamed skin (2). Freshly extracted aloe vera gel has a healing effect that alleviates the distress caused due to a breast rash. Combine turmeric with milk and apply it onto the rash. Wash off with warm water after 30 minutes for instant relief. 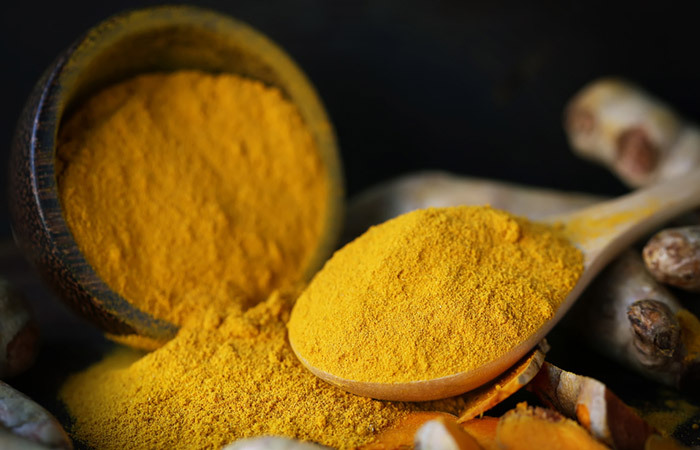 Turmeric is the ultimate health package that helps treat a breast rash very effectively. It is an anti-inflammatory and antiseptic agent, which makes it an excellent remedy for itchy skin (3). Crush the garlic clove and apply it on the rash. Leave it on for 5-7 minutes and then rinse with water. Do this twice or thrice a day for rapid healing. We know some of you ladies might find the smell of raw garlic very abominable. But then look at the bright side! 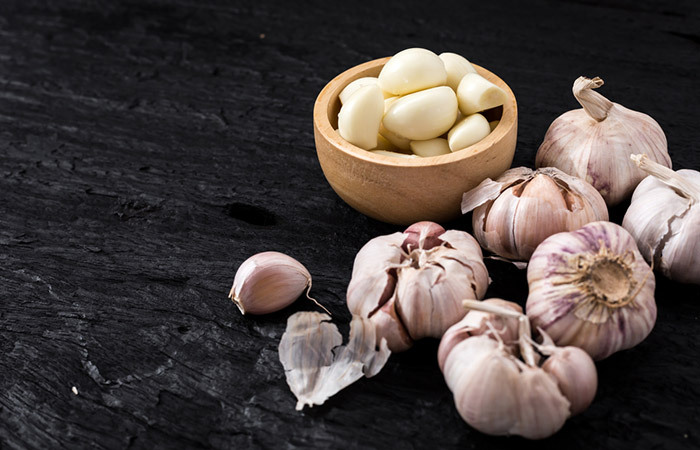 Garlic helps fight infections of the skin that might be causing the rash under your breast (4). You will need to sanitize the affected area with a mild soap and warm water. Make sure you pat it completely dry. Apply some cornstarch onto the rash with a light hand and let it do its job for the next 10 minutes. Apply cornstarch one to two times a day. Cornstarch is an amazing ingredient to assuage the itching sensation of a breast rash by absorbing the sweat and moisture present there (5). 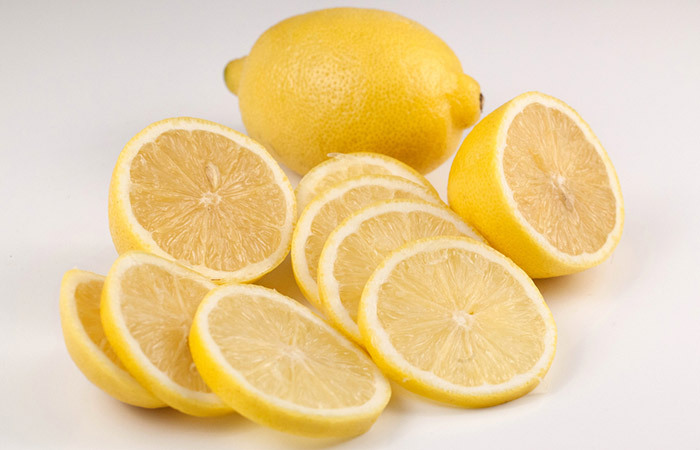 Add the lemon juice to the water and mix well. Use this water to rinse the affected area. Do a final rinse with plain water. The natural citrusy fragrance helps keep bacteria at bay (6). This home remedy for rash under breasts also speeds up the healing process and ensures that you are free of the nasty rash in no time. Clean the affected area with a mild soap and warm water. Pat it dry. Place the ice pack on it for 5-10 minutes. Repeat this as and when required to get instant relief from the itching and stinging sensation. Nothing soothes a stinging skin better than an ice pack. Ice also reduces swelling of the rash (7, 8). 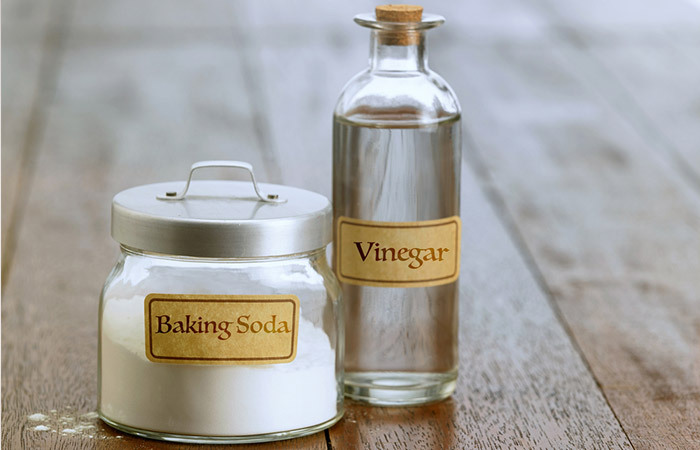 Combine the baking soda and vinegar to form a smooth paste. Apply this paste onto the rash. Leave it for 15-20 minutes and then wash off. Do this twice daily, and your rash will be gone in a couple of days. 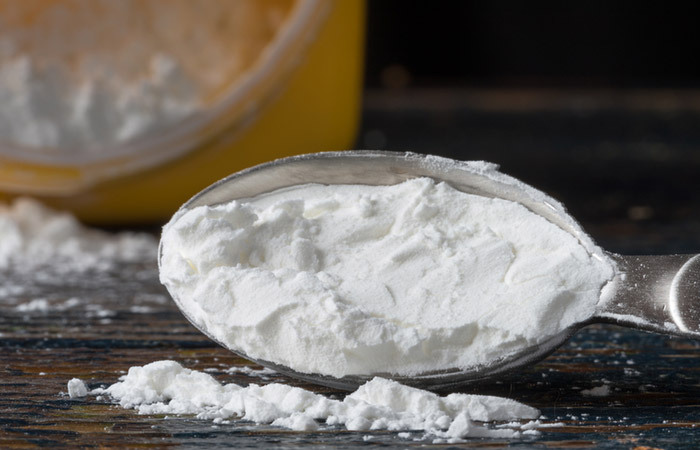 Baking soda soothes the irritated and itching skin. It also has antiseptic properties (9). Vinegar is also antimicrobial in nature and even balances the skin’s pH. This helps in faster healing of the under-the-breast rash (10). Mix the honey with lemon juice and apply this on the rash. Wash off after 10 minutes. You can apply this twice a day. 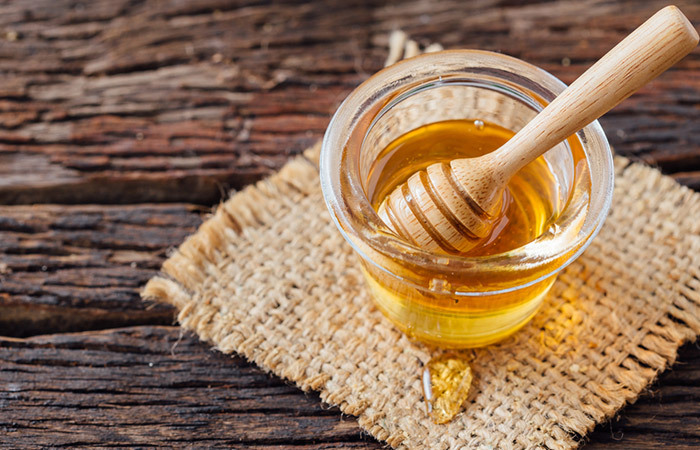 Honey is not only an excellent humectant but it also effectively fights bacterial and fungal infections (11). Steep the tea bag in hot water for 15 minutes. Let this cool down. Dab the solution onto the rash using the cotton ball. Leave it on for 10-12 minutes, and then you can rinse it off. Repeat this 2-3 times in the day. 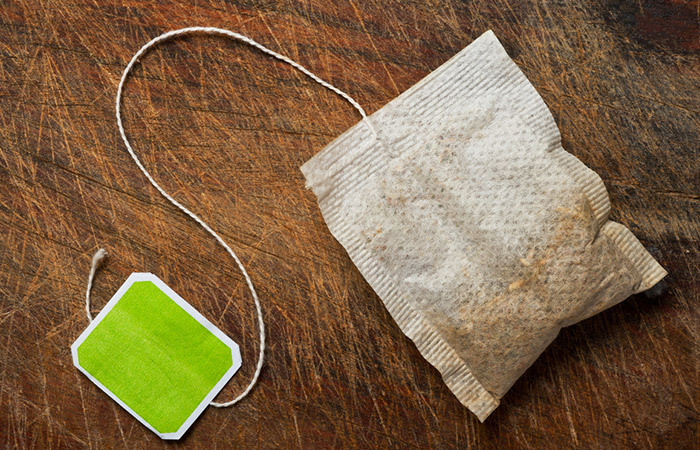 Green tea works like magic when your breast rash is a result of fungal infection. It contains antifungal compounds that eliminate the infection and heal your rash quickly (12). Crush and grind the leaves with turmeric powder. Add enough coconut oil to get a thick paste. Apply this on the rash and let it sit for about 15 minutes. Apply this paste twice a day. 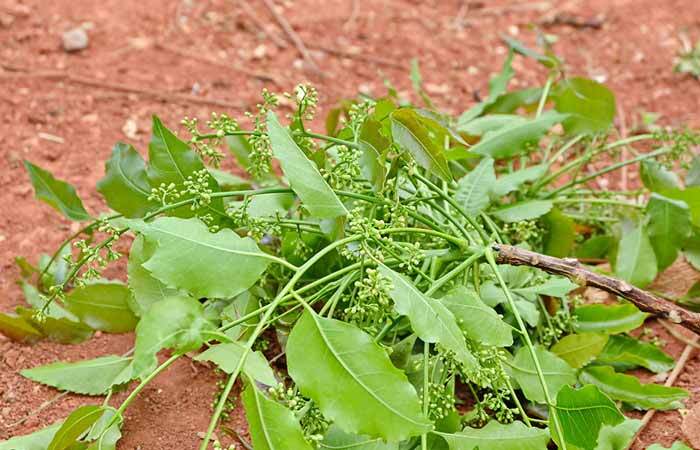 Neem is an antimicrobial herb that effectively acts against bacteria and fungi (13). Once the infection is treated, the other symptoms of the rash will disappear. Clean the area and pat it dry. Apply calamine lotion with the cotton ball. Leave it on. Repeat this a few times in the day. Calamine lotion calms down the sensation of itching and irritation at the affected site. It contains zinc that soothes the skin and also speeds up the healing process of the rash (14). Mix the ingredients together to get a thick paste. Apply this as an even layer on the rash and let it dry for a couple of minutes. Do this once or twice every day. 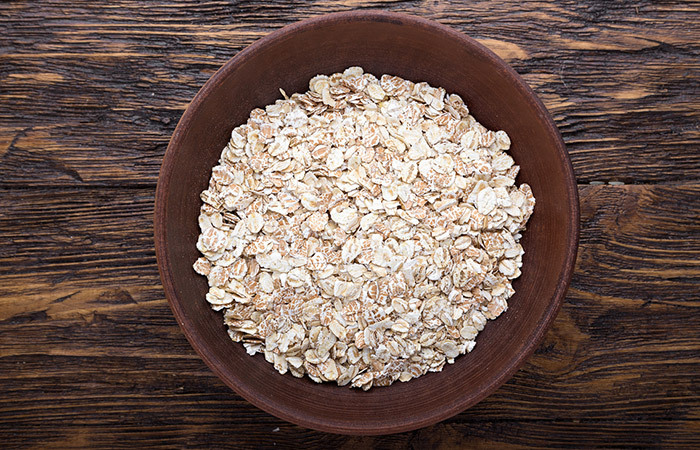 When it comes to topical skin irritation, oatmeal is a fantastic solution as it is soothing and calming for the skin. It hydrates the skin, relieves itching, and also makes the skin softer (15). With the cotton, apply the witch hazel on the rash. Reapply 2-3 times in a day. Witch hazel being an astringent disinfects the area and also keeps it dry (16). Mix your choice of essential oil with the carrier oil available and apply directly on the rash. Leave it on for as long as possible. If you do not have any essential oils handy, you can use olive oil or coconut oil by itself on the rash. Another option in the oil category is calendula oil which can also be applied on the rash. Apply the oil blend 2-3 times. 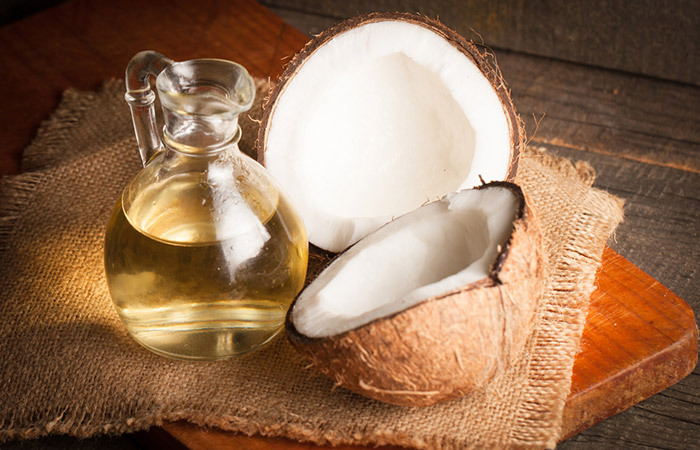 The carrier oils, coconut and olive oil, have skin nourishing and antimicrobial properties (17, 18). The essential oils mentioned are also antimicrobial in nature. They also facilitate faster healing of the rash under your breast (19, 20, 21). Rashes under the breast can become very uncomfortable and make wearing regular clothes difficult. These remedies will help to get rid of them easily and quickly. Follow these tips to keep these rashes at bay in the future. Keep these tips in mind to prevent the formation of any rashes under the breasts. We hope this compilation of home remedies can be put to use. However, if your rash has progressed and you happen to have developed sores, we advise you to seek immediate medical help. Do you know any other home remedies for rash under breasts? Let us know in the comments section below.